Vegans don’t need to be told twice that plant-based junk food is delicious. Videos circulate the internet on a daily basis showing off just how amazing meat-free food can be, whether it’s burritos, burgers or cakes. But what about meat eaters? Is vegan junk food only good for people who are already used to a diet free from animal products? Or is it so good it will leave meat-eater’s wondering why they bother to consume meat? 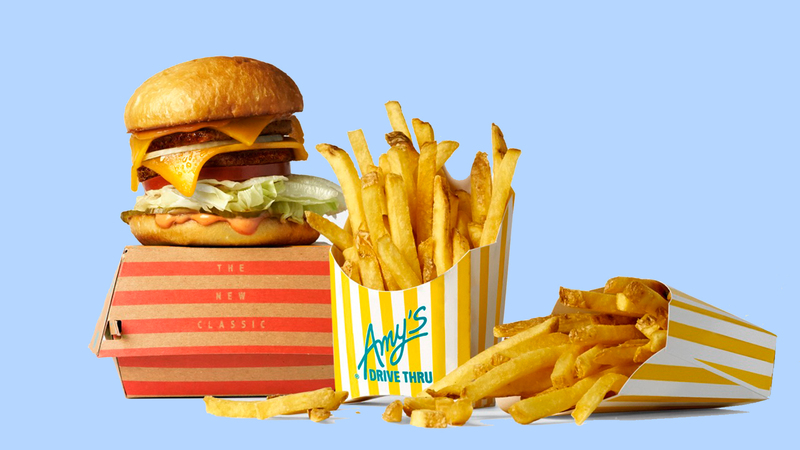 Recently Amy’s Drive Thru, the first all vegetarian and organic drive thru in America announced that it was expanding across California. The drive thru’s second location, which is due to open in the next few months, is taking the place of a former Denny’s. Amy’s offers vegan options too but not everything on the menu is vegan. ‘I wouldn’t ordinarily stop into a vegetarian restaurant,’ says Robinson but her meal ‘didn’t leave [her] missing meat,’ and she was incredibly impressed with the amount of fresh produce in her burger bun. She even enjoyed her vegan chocolate shake which she said had a ‘sweet, nutty flavor’ thanks to the soy and almond milks. ‘I would gladly trade it for my usual order at a burger chain like McDonald’s or Burger King.’ she says.